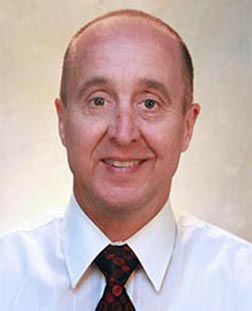 Harris Search Associates has recruited Dr. Wayne C. Miller as the next Dean of the College of Science at Morehead State University (MSU). Dr. Miller is currently the Director of the Center for Rural and Community Health and Professor at the West Virginia School of Osteopathic Medicine. In addition to being a Center Director, Departmental Chair, Clinical Director, Administrative Chair, and Graduate Programs Coordinator, he has served in several other administrative and management roles within and outside of academia, including several education and health care settings. Previously as Chair of the Exercise Science Department at George Washington University, he was responsible for all administrative aspects of the department. This included two undergraduate BS degrees – one in Exercise Science, with two focus areas, Pre-health Professional and Health & Fitness; and a second degree in Athletic Training. The graduate program consisted of a Master’s degree in one of three tracks; Clinical Exercise Physiology, Exercise Nutrition and Eating Behavior, and Strength & Conditioning. The department was also responsible for teaching numerous service courses to the general university population. We taught service courses to over 1,000 students each semester. As Chief Administrator of this department, he was responsible for 10 full time faculty, over 80 adjunct or part-time faculty, 16 Graduate Assistants, and 4 staff members. Dr. Miller’s research over the past 25+ years has centered on fat metabolism, physical activity, public health, and lifestyle modification. My research spans the breadth from basic biochemistry, investigating the enzymatic regulators of fat metabolism in animals, to the development of weight loss interventions and diabetes management tools for special populations, to physical activity in school children, to training of community health workers, to health literacy. He has published over 70 research articles in peer reviewed journals, presented over 130 abstracts and invited talks, and supported much of his research with external funding. The largest academic college at MSU, the College of Science offers a wide range of undergraduate and graduate degree options in its seven departments, which include Agricultural Sciences, Biology and Chemistry, Earth and Space Sciences, Kinesiology, Health, and Imaging Sciences,Mathematics and Physics,Nursing, Psychology and UK/MSU Physician’s Assistant Program.